I have made a brief comparison table below among 3 most popular Infiniti Conair straightener. 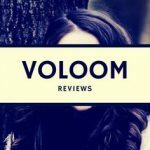 Have a look at the comparative Infiniti Pro Conair straightener reviews and I believe this will help you make up your mind quickly. Surely you will get in-depth reviews on all of them. And beyond these 3, you will get additional 3 Infiniti Pro Conair ceramic flat iron reviews. Now that you have a brief comparison table, it’s the right time to have the complete reviews on each of these most popular models. Remember, all the information about these models is based on feedback left by experienced users and professional hairstylists. So, you will have the true picture of these flat irons. Let’s start the Infiniti Pro Conair tourmaline ceramic flat iron reviews with the model CS710RN. It’s most popular and suitable for every hair type. Do you have naturally coarse hair? If so then I am pretty sure you have been pretty disappointed with flat iron from so many brands already. Instead of straightening your hair, some of them have caused further damage. Am I right? When all the hope seems lost, women having the same hair have found this Infiniti Conair straightener as the godsend. So, if you have naturally coarse hair, try this. You can not only straighten your hair, it will make your hair smooth as well. Lots of girls having African American curly/coarse hair have found this effective. It has made their hair straightened with some shiny look! And if you are having trouble straightening your hair because it takes too much time, give it a try. Lots of ladies have left feedback saying it really takes less time than most other popular brands like Chi. Your hands won’t feel pain anymore. Not just it is inexpensive, it lasts really long. Some ladies have been using it for several years. To them, this is the best investment they made in their hair. If you have thin delicate hair, choose the setting from 1 to 8. For average to thick/treated hair, go for the 9 to 14 heat settings. If you think your hair is hard to straighten, then set the heat setting to 21 to 25. For really resistant hair, set it to 26 to 30. But remember, if you decide to have a keratin treatment at home, you need to set the heat setting at 450 F.
For different hair types, it’s available in 3 sizes like 1 inch, 1 ¼ inches, & 1 ¾ inches. Features ceramic tourmaline technology to reduce frizz and flyaways. Also, it does not damage your hair further. Unbeatable market price. For quality and price, it’s a great buy for anyone having trouble to straighten their hair. 30 adjustable heat settings and the maximum heat can reach up to 455°F. 15 seconds to heat up with uniform heat recovery. With 30 heat settings, there is always an option for your hair type. Features extra-smooth long floating plates for effective styling. Glides smoothly through the hair, no hair pull up! Extra long swiveling power cord, no more tangling! Works perfectly on frizzy hair. Automatic shut-off in case you turn it off. Proven to add volume while straightening hair. Hairstylists recommended and highly appreciated model of all Infiniti Pro by happy women. So many good things are already discussed. But to have a fair Infiniti Pro Conair flat iron reviews, you need to know some of its limitations as well. I am gonna start the second Infiniti Pro Conair tourmaline flat iron reviews with the model CS33FX. It’s mainly loved by the hairstylists. Used by professionals and if you like to have a salon quality flat iron, consider having this one. Available in multiple sizes and if you need to cover more areas of your hair, this is a great choice. Just after one pass, your hair will get straightened and silky smooth. And like always, it’s so inexpensive! So many girls having dry and curly hair have confirmed to have great results using it. The good news is your silky smooth straightened hair will last longer. Some left review saying the style remains longer than other brands like Chi. Are you living in a high humidity area? The frizzy hair is a common problem for you. You can solve the problem using this model. Proven to have anti-frizz hair and lots of ladies have verified this fact. You will be amazed seeing how many recommendations for girls living in a humid area with frizz problem. The Infiniti Conair straightener gets SO HOT in seconds and glides smoothly through your hair. No snagging! With so many adjustable heat settings, you will get the perfect heat to get the job done in less time. Due to its adjustable temperature settings, it will work for any hair type. If you have fine thin hair, still a good choice for you. Or maybe you have African American hair? Lots of women having African American hair have found it pretty effective to straighten their hair that lasts long. They also have confirmed that it glides smoothly and effortlessly through their African American hair. Tips: It produces extreme heat, so use with caution. Don’t forget to use heat tamer enriched with argan oil. Available in 3 sizes like 1”, 1 ½”, and 2”. Smooth ceramic coated plates, so no hair pull-ups or snagging. Features ion-emitting tourmaline to reduce static and frizz. The maximum heat can reach up to 455 F. There is a display where you can see the temperature. Infrared energy to protect the luster of your hair. As usual, comes with 30 adjustable heat settings with auto shut-off feature. Professional grade salon quality flat iron recommended by professional hairstylists. No tangled mess for long tangling power cord. It is featured with a zip tie as well. Comes with protective heat shield for safe storage. Suitable for the U.S.A. household electricity only. Caring customer care service. Should you face any trouble, just contact them. Let’s check some cons in this Infiniti Pro Conair flat iron reviews, so that you know what your buying. Few women with thick coarse hair said it does not work that good. When you need to add moistures while straightening your hair, this one is great. Adding moistures can actually make your hair healthier. Let’s say you have very thick hair and they are tending to breakage easily. Straightening them is really hard. Well, this is the solution for you. 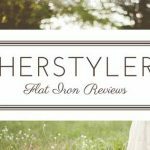 A highly recommended steam flatiron for lifeless & damaged hair. Here is how ladies having 3C type hair found this helpful. Since the teeth in the plates and the steam settings are adjustable, they have set it up for the highest setting. The end result was straight and moisturized hair with lots of movements. Are you an AA woman? Will work great for you! Lots of girls having AA hair type have found this effective enough for their hair. Or maybe you have un-relaxed ethnic hair? Still good to go! The retractable comb will be helpful to detangle your hair further and after straightening, you will have the stunning look of your hair. So, even if you have really unruly and coarse hair, the comb will detangle each strand evenly. With the high, low, and off settings of the comb, the flatiron is just perfect for any hair type to have sleek salon-straight looks. Thin & medium length hair? Be prepared to have gorgeous and shiny hair with or without using the steam. Multi-level steam function to lock in style. The steam function is optional but you should try this to add moisture and shine to your hair. As the stream feature has high/low settings, choose the high settings if you have coarse hair and vice versa. Even though it’s a little bit pricey, still it’s a good purchase because of the salon-quality results you can have at home. Now, let’s watch a video review on it. State of the art heat steam technology. Eliminates frizz and flyaways by using steam and ion. The flatiron is equipped with a true ion generator to release 2 million ions/cm3. Features retractable comb with adjustable 3 positions that glide smoothly without pulling hair. Shiny straightened hair that lasts for over 60+ hours. To ensure less frizz and damage, it features tourmaline ceramic coated plates. Removable water reservoir to have the perfectly straightened hair of your dream. Adjustable temperature settings with LCD display. The maximum heat can reach up to 455°F. 30 seconds is all it needs to heat up and the straightening time is significantly less. Huge recommendations from women having almost every hair types. 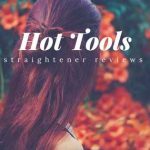 Some ladies left their Infiniti Pro Conair ceramic flat iron reviews with some cons and you should know them as well. The steam function stopped for some. A little bit heavy as well. That’s the end of my recommend Infiniti Conair Flat iron reviews. But I am gonna cover another 2 reviews on Infiniti Pro Conair tourmaline ceramic flat iron. Straightened hair stays really long and lots of women have verified that. It heats SO quickly and straightened hair just like you have seen in the salon. The plates are really long enough to fit in more hair and reduce the time to straighten hair. And the crazy thing about this model is that you can actually have beautiful curl/wave with this one. Having curl is easy as well. Yep, curling will take little bit more time than straightening your hair, but it will save you from having a separate curler! But be careful trying to curling your hair if you have never done this before. Watching some video tutorial may be useful. Women have tried it on the heat-resistant wig and found it effective. Of course, try at low heat setting at first. Lots have girls having thick and frizzy hair have found this one very helpful and effective to straighten their hair. Not just thick hair, since you can control the heat settings – it is suitable for any type of hair. When you have 30 heat settings with rounded plates, the possibilities are endless. When you need an Infiniti Conair straightener without breaking your bank account and that really works irrespective of your hair type, this model is just right for you. Tips: Based on how hot the iron gets, it is highly recommended that you use any good quality heat protectant before applying this iron to your hair. Long plates for easy ironing and curling. Ceramic coated tourmaline plates to emit heat consistently and evenly. No hair damage at all. Perfect for every hair types. Adjustable heating settings (30!) and the maximum heat can reach up to 455 F. Great solution for hair that seems impossible to straighten. 15 seconds required to heat up the iron. Reduce hair straightening time significantly. Quick cool-down and instant heat up! Auto shut-off feature to avoid various unwanted accidents. Curl looks natural. Revive your hair once again! Lots of girls have liked the round edges. Now they can have various waves like beach waves. When they want to straighten, they can do it as usual. It’s 2-in-1! Very lightweight, won’t hurt your wrist straightening your hair. Last really long time. Many have been using it for several years. The price is so affordable. Huge recommendations from experienced users and professional hairstylists. Feels cheap, especially the plastic parts. Without squeezing shut, plates are not parallel. It’s the only mini iron that I am going to cover in the Infiniti Pro Conair titanium ceramic flat iron reviews. When you need a dual-voltage Infiniti Conair straightener because you love to have one during traveling, that’s the one you should have. Very simple to operate (just on/off) and great for gorgeous straight hair anywhere you go. Since it’s great for touch-ups at work, you will be always confident your workplace. When you have 4C/B hair and you need short pixie hairstyles, the mini flat iron from Infiniti Conair is just great. Women having your hairstyles have confirmed that this one makes their hair silky smooth from the root of the hair to the tip every time they use it. If you have 4B African American hair type, you can use it too. Section your hair first and use a comb for detangling. Then use the mini iron to have a straight and uniform look of your hair. Whereas most mini flat irons have a ½ inch plate, this one comes with ¾ inch plate. Covers more hair and quickens to style your hair when you are in a hurry. The mini iron comes with a heat-resistant pouch and it’s a tremendous help when you are away from home. So many women have expressed their great love for the iron just for the pouch. You are good to carry it anywhere and use it because of the pouch. This is great for a quick fix of your hair and taming flyaways, but definitely, this is not a replacement for a standard size flat iron when you need to straighten your hair completely. Makes you confident in the workplace. Compact size, you can carry it anywhere. Features tourmaline ceramic technology for anti-frizz hair and tame flyaways. Dual voltage and so much convenient for travel. Works great on short hair, something like shoulder length hair. Just on/off features and the temperature can reach up to 400 degrees F.
No hair damage for excessive heat. Smooth plates so no hairs pull up. Heats up super-fast and around 30 seconds required to heat up the flat iron. Women with thick wavy hair have found this effective for touch-ups. Lots of women have confirmed that it works outside the U.S.A as well. No need to carry any extra adapter. No adjustable heat temperature settings. Though it’s great for short hairs or touches ups but definitely not recommended when you have a lot of hairs. We are at the very end of the long journey! I believe I have included all of their popular models. And I believe I have discussed everything you need to know about them. So, which one should you have? Definitely, go for the first one I have reviewed above. But if you like to have a mini flat iron, you already know which one to choose, right? Let me know in the comment box if you need additional information which you think missing from the above Infiniti Pro Conair flat iron reviews.